Staircase in the Palazzo Carignano. Excellent in all ways. Faces add the final touch !! A true eye-catcher, this one!! A superb composition, including those faces are so good! V.
Superb spiral and light. V.
Very impressive, well captured and ghood POV Ton. A great capture of this fantastic view!! 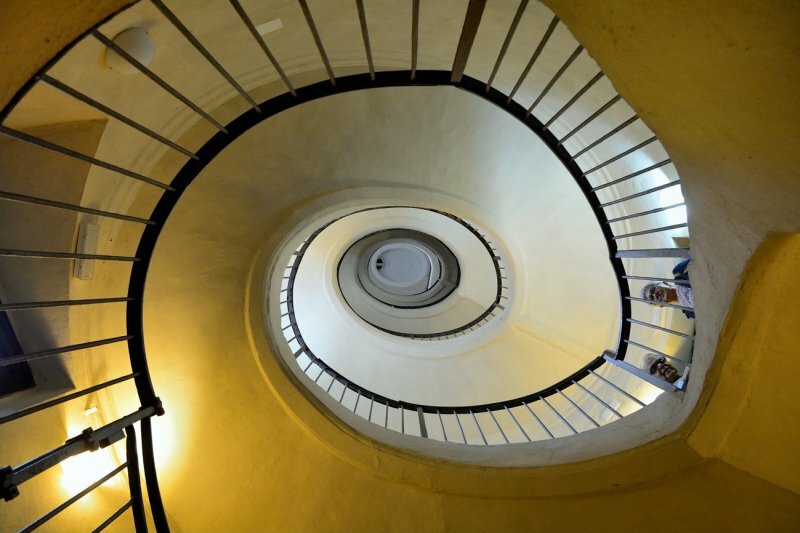 A gorgeous lit spiral. Love the two faces watching you. Superb POV and excellent light. V.
An impressive circular stairway. The two solemn faces add interest. "V"